This saree comes with full zari all over the body and border and pallu. 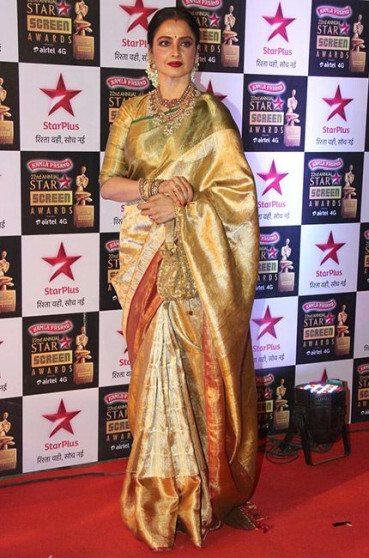 The saree gives goldish look because of full tissue zari work. we have sold so many sarees in this and we have 100% customer satisfaction. This saree is made with 1 gram gold zari and 1 gram silver in peacock and chakra buttas all over the body of the saree. The border comes in contrast borders in green gold zari plain border and redgold zari plain border. This saree can also be made in 3 gram gold zari upon request, how ever the cost of the saree will come 90000 rupees in 3 gram gold zari. Orange pink mix wedding silk saree in 18 inches big border and comes with beautiful purple edge lining at the end of the border. this is an exclusive silk saree and must have kanjivaram collection. This silk saree comes in black colour with temple raising border in 1 gram gold zari. the saree also has a beautiful maroon colour temple raisiong above the zari temple border and the blouse comes in maroon colour. 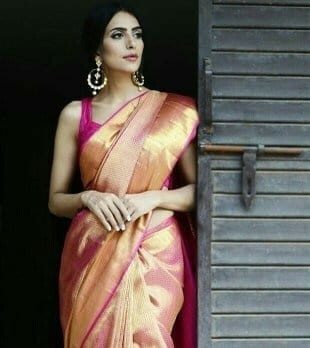 This saree comes with maroon colour silk as the base and on top of this saree is weaved with full gold zari all over the saree. 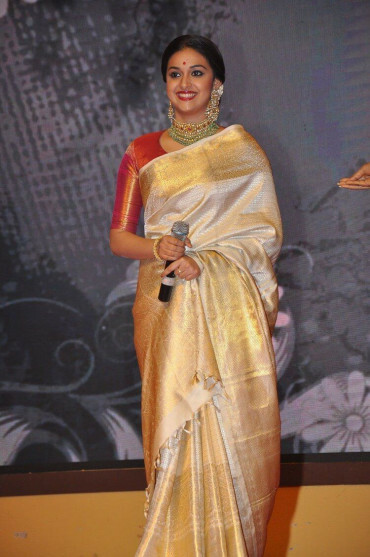 Due to flash lights used in the photo, the saree might seem like silverish shade on the saree. 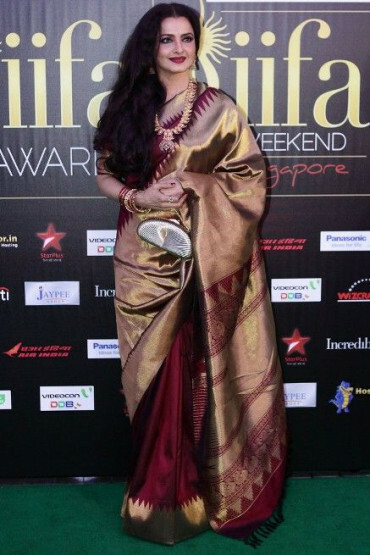 The saree is full gold zari weaved over the maroon silk. 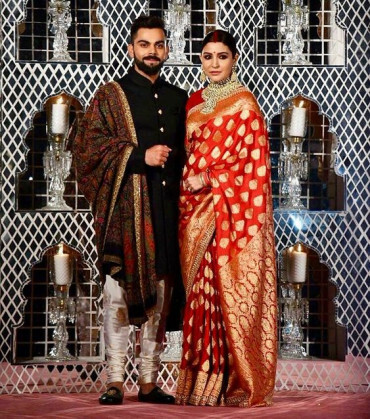 The saree looks very beautiful and grand. Get 10% discount by clicking the facebook symbol to the right. Log in to your facebook account and click "post to facebook". For any doubts please whatsapp us +919677063537.